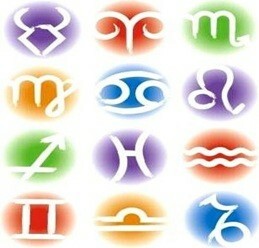 Around the world, we find a huge variety of cultures inside which a different meaning is given to a lot of issues of life and that, besides, these issues are being transmitted from generation to generation; the horoscopes have an interpretation according to the astrological signs that are influenced by their religious believes. – Alchemist horoscope: It has 10 signs based on names of the elements of the periodic table. – Arabic Horoscope: It has 12 signs with medieval arm names. – Aztec Horoscope: It has 12 signs with names of trees. – Chinese Horoscope: It has also 12 signs but with Chinese animal names. – Druid Horoscope: It has 13 signs and all of them have tree names. – Gypsy Horoscope: It is divided into 12 signs that are represented through different objects that are used in our daily life. – Hindu Horoscope: It has 12 signs which are known as “Rashis”. – Indian Horoscope: It is divided into 12 signs with the names of native animals of the area. – Maya Horoscope. It has 13 signs that are represented with animals of their culture. – West Horoscope. It has 12 signs that are also with the names of the planets and the stars. – Orisha Horoscope: It is divided into 12 signs with the names of the goodness of nature. – Wuykü Horoscope: Unlike the rest of the signs, this is divided into 4 main signs that are represented by the names of the animals that are identified as sacred by Buddhists.